Yamaha ATV also produces utility and sport Yamaha ATVs. Yamaha's sport all-terrain vehicles are designed for off-road racing and are light and agile. The utility Yamaha ATVs are designed for really tough off-roading and are accordingly tough and burly. Yamaha's Grizzly ATVs are among its most popular models. The Grizzlies are perfect for hunting, camping, and off-road activities. The Yamaha Grizzly ATV are California green-sticker compliant so you can use your Yamaha ATV with peace of mind. The seat is specially designed for maximum comfort, even for all-day riding. The center-mounted trailer hitch can tow over 1,200 pounds so you can haul your buddies out of the mud. Other Yamaha ATV’s include the Raptor, Wolverine and YFZ models. Each Yamaha ATV model offers awesome power and performance for both the Youth and Adult ATV rider. 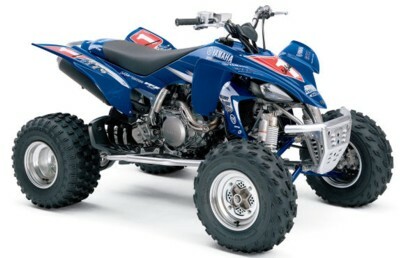 Yamaha ATV parts and Yamaha ATV accessories are available from Yamaha Parts. Yamaha 2011 YFZ450R and YFZ450X sport ATVs, completing their strongest sport ATV line-up for the coming year. With superior power, comfort and handling, Yamaha's high-revving YFZ450R and 450X are specifically designed for pure performance and get new color and graphics in 2011. 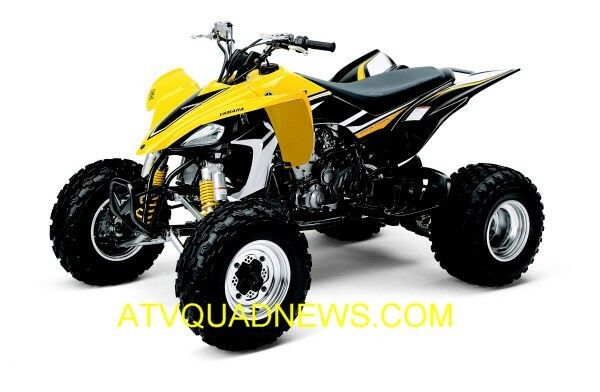 Yamaha ups the ante on the 2006 Yamaha Raptor ATV making it a Raptor 700!! Also, Limited Edition 2006 Yamaha YFZ450 ATV, with a true 449cc engine!